Just like following a beauty regimen, it is also important to stock essential cosmetics in your makeup bag to be always prepared. It should be done irrespective of the fact if you are a beginner or already have experience of using makeup because what we use and how we use cosmetics makes a significant difference to the skin, especially in the long run. Not just this, keeping in stock basic cosmetics will help you achieve an all-time-favorite look that is suitable for routine work. To help you make that decision easy, we have listed down top 10 makeup bag essentials that you can keep stocked up. You can try and pick products that work for your skin type from lower and higher price options. 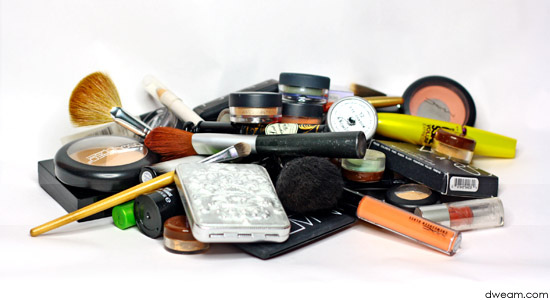 We recommend you to try any cosmetic before making an investment to avoid a reaction. After having these essentials you can experiment with new trends and add them to your look. 1. Primer– You must have heard that a primer lets your makeup stay longer but you must also know that it minimizes the appearance of pores and helps to even out rough skin before rest of the makeup is applied. As compared to people with flawless skin, it is a boon for those who have imperfect skin as it helps to bring radiance. 2. 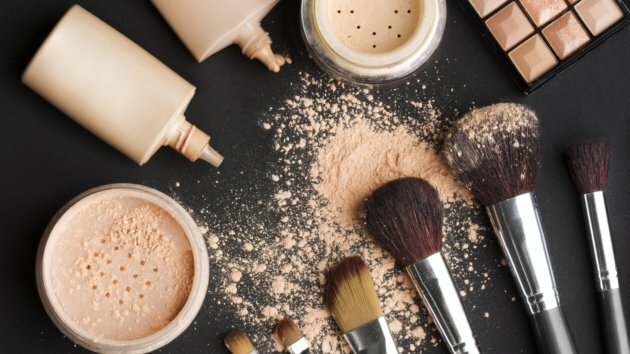 Foundation– There are many kinds of foundations available in the market today from low-medium-high coverage, liquid or mousse, in every shade and even for every skin type. Try the ones that meet your needs. 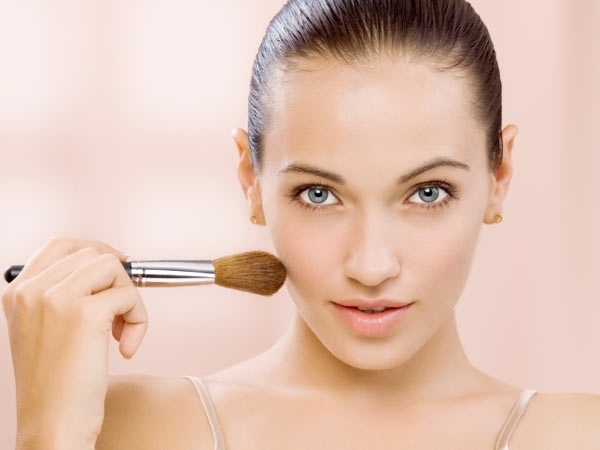 We suggest that If you struggle with blemishes and acne then add a concealer too to your makeup bag. Zuri Recommends: Lakme Absolute Matte Skin Natural Mousse, Revlon PhotoReady Makeup Foundation and MAC Studio Fix Fluid Foundation. 3. Blush– A blush helps to create the illusion of a healthy glow. Especially on occasions when your skin is tired and lifeless, a simple swipe of blush on your cheeks will leave you looking fresh. Zuri Recommends: Bourjois Little Round Pot Blush in Rose Amber and Rose Coupe De Foundre, Clinique Cheek Pop Blush and NYX Powder Blush in Mocha and Apricot. 4. Eye shadow– There are some colors that you can wear everyday such as taupe and natural tan and these are a must addition to your makeup bag. There are plenty of options available in the market nowadays as mostly every brand has launched eye shadow pallets. 5. Eyeliner– Eyeliner can be applied in many different ways and is a must while doing eye makeup. A simple black eye liner will suit all skin tones. If you have fair skin you can also try dark-brown and medium skin tone can try navy blue color. If you are new to eyeliners, then we suggest that you opt for a pencil type instead of liquid eyeliner. 6. Mascara– Mascara helps the eyes to appear big and it suits everyone! The most apt colors that go with everyday look are black and dark brown. For special occasions you can opt for voluminous ones or can apply multiple coats. 7. Brow Pencil– This recommendation is for people who have light or uneven eye brows. You can use a brow pencil to fill in and define your brows. By adding some shape and definition to eyebrows, your can enhance your natural facial features. It also comes handy especially when you have over plucked your brows by mistake. 8. Lip Balm– Lip balms help to keep the lips hydrated and healthy. They are even more important in winters as the skin becomes flaky and needs extra support. You can buy some tinted lip balms with SPF which will provide some colour and protection at the same time. 9. Go-to Lip Gloss/Lipstick- There has to be that one shade that suits you the best and can be worn without much consideration. While lip glosses give a sheer and natural look, lipsticks will give you more tinted color. As per your comfort level you can choose to go with either or both. 10. Brushes– Using a good quality brush to apply makeup makes an obvious difference to how the final look will appear on you. To start with, you can buy a brush set with large and small brushes to be used for applying powder, contouring and eye shadow.